Andra Nelson is an Idaho native who was born and raised in Soda Springs, a town located in the southeastern corner of the state. She received her Bachelor’s Degree in English at the University of Idaho. After graduation, she spent six months in Guadalajara, Mexico and taught English as a Second Language to employees and employers of multiple businesses and corporations. Upon her return, she attended the University of Idaho College of Law where she was a member of the Idaho Law Review. 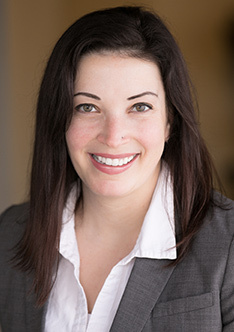 Andra participated in the school’s clinical program where she successfully resolved numerous family law disputes. After graduating she was a law clerk for Honorable Mitchell W. Brown, District Judge of Idaho’s Sixth Judicial District. Andra comes from a family of attorneys. Her father is an attorney in Soda Springs and her sister is an attorney in Portland, Oregon. After living in Moscow for seven years, she decided northern Idaho was her home and always enjoyed Sandpoint when she could find time to ski in the winter and boat with friends in the summer. Andra is a member of Sandpoint’s Community Cancer Services Board and provides pro bono legal counsel for Angels Over Sandpoint. Sandpoint Community Cancer Services Board, Chair of fundraising committee.